Listening to Roberto Verganti at Analytics Experience 2018 was a great experience. It is an enormous pleasure to watch this professor from Milan Polytechnic, who transmits the same energy in person that he puts into his books. I first came across him in 2010, when thanks to SAS, I took part in a training course on business innovation management in partnership with Milan Polytechnic. The focus of the training was Verganti’s book, Design-Driven Innovation. That book has heavily influenced my perception of innovation as a critical and rich vision of technological progress and success on the market. I believe that every computer scientist should try to enrich their thinking with the concepts in the book. The goal is not to introduce rules or constraints on the innovative energy inside us; precisely the opposite. Through the stories in his book, Verganti is somehow able to encourage further passion and interest in all of us. Verganti focuses less on technological progress and success in the market, and more on the profound possibility of creating something that introduces a new need in users. This is “design-driven” innovation, which does not come from the market, but creates new markets; it does not push new technologies but gives life to new meanings. The real cases of Apple and iTunes, or Nintendo, have redefined the meaning of playing games or listening to music, and put that to the market. Businesses often spend hours thinking about how to satisfy a particular customer need. As customers, we can also spend hours thinking about our experience – how to avoid a queue at the bank or supermarket, how to book a hotel more easily – but these are only incremental innovations. The key to revolution is to find a new need that no user has ever asked for and deliver new meaning. Verganti agrees with this but adds a new twist, illustrating the binomial direction and solution. 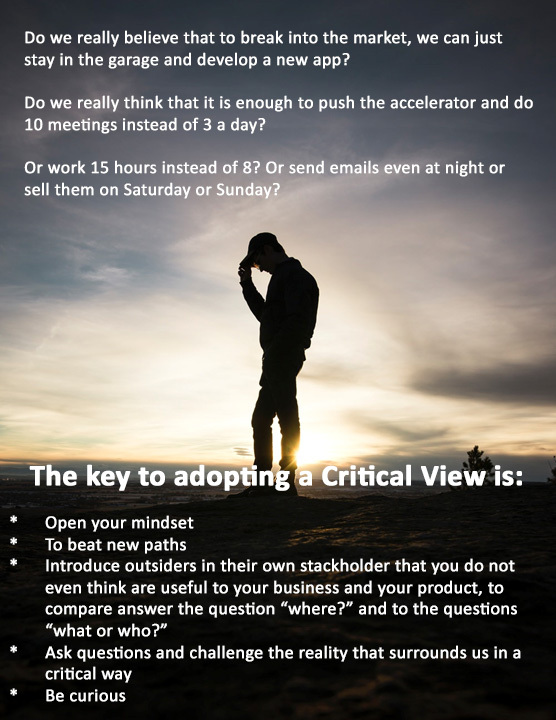 He highlights the importance of having a critical vision for your innovation. Finding a solution is simple, he says: We are all full of ideas, and social networks, universities and magazines all offer new technologies and new solutions every day. What makes the difference is not just having a solution, but one that can create a new direction for users. Paradoxically, finding a solution is simple. 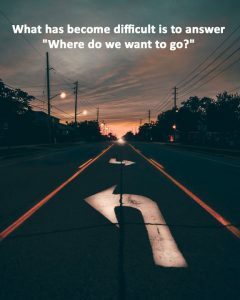 What has become difficult is to answer "Where do we want to go?" In this article, Verganti explains that “New directions arise from reinterpreting the problems worth addressing. They redefine what customers value.” Quoting the song “Fix You” by Coldplay, he reminds us that sometimes “you get what you want but not what you need." While the song may not have been intended as an ode to technological innovation, it gets at the importance of introducing needs and new meanings into the reality that surrounds us. During his presentation at Analytics Experience, Verganti gave a great example to explain his ideas. He discussed Nest, the company bought by Google for $3.2 billion, which has sold millions of thermostats. Yes, even in this day and age, we still talk about thermostats. Nest has introduced a very simple thermostat into its users’ homes. It switches on and off with a wheel and does not require programming. Using artificial intelligence and machine learning, the associated app learns and takes care of the temperature settings in the home. At the root of all this, there was a definition of a meaningful new direction. Nobody buys this thermostat because it in itself works better, but because it combines with other technology to provide more functionality. Companies have to fight for new territories, so they need to recruit outsiders who will help them to broaden their vision, take a more critical view, and have more curiosity to develop a thought that may emerge from the market but will provide a new direction. Most of the ideas embedded in the Nest thermostat were already familiar to the industry, but none of the existing players recognized the potential. 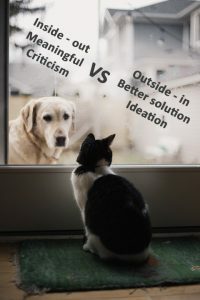 This leads to a further principle: inside-out versus the canonical approach outside-In; the meaningful contrast and better solution – the critical approach – against the canonical approach to developing ideas. Verganti closed his speech by talking about curiosity. He believes that curiosity is mainly about listening, a suggestion I think many of us could do with taking to heart. Antonio Autorino is a Consulting Manager for SAS Institute, his team is dedicated to two italian top customers: UniCredit Bank and Generali Assurance. Having started as a Java developer and consultant, he has gained solid experience around Analytics, Data Warehousing and Reporting. He has held positions of increasing responsibility: technical leaders, project managers and program managers, mainly driving strategic projects in financial services, automotive and manufacturing industry. His managerial skills are focused in team leadership and team building with the aim to get complex and ambitious projects, with a strong attitude towards technological and business innovation. Antonio has a real aptitude for the study of technological and innovative topics. Great article! HBR recently published a piece on curiosity and its good effects on knowledge. I wrote a short piece on it in LInkedin titled When you're curious, you're less biased.